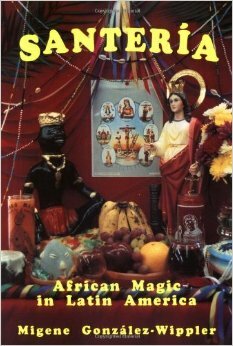 SANTERIA AFRICAN MAGIC IN LATIN AMERICA — This book will provide you with a fascinating history of African magic used throughout Latin America. 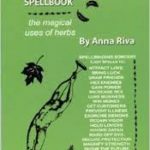 This best-selling book includes legends, rituals, ceremonies, magical practices, natural magic, the Seven African Powers, black magic and magic spells. In 1973, the first hardcover edition of Santeria: African Magic in Latin America by cultural anthropologist Migene Gonzalez-Wippler was first published by Julian Press. 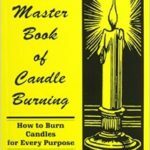 It became an immediate best seller and is still considered by many experts one of the most popular books on Santeria, having gone through four editions and several translations. Now this beloved classic, written by one of the foremost scholars on the Afro-Cuban religion, has returned in a fifth edition. This time the text has been carefully edited and corrected to incorporate vital new material. The beliefs, the practices, the legends of Santeria are brilliantly brought to life in this exciting and critically acclaimed best seller. 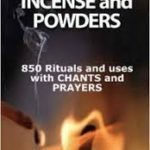 If you have ever wondered what Santeria is, if you are curious about the rituals and practices of this mysterious religion, and want to delve in its deepest secrets, read Santeria: African Magic in Latin America. It will answer all the questions and much more.